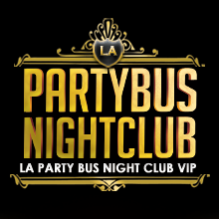 Friday, December 27, 2013 at Playhouse Nightclub features music by DJ L.O.S. along with hip hop sessions by DJ Five Star and DJ Hyphy. Get ready for another session of Playhouse Nightclub revamped “THE LIFE” Fridays, located at 6506 Hollywood Blvd. in Hollywood. Make sure to arrive early, dress to impress and be 21/over with ID. Tired of waiting in long lines? Celebrating a special night in Hollywood? Do it right. Party like a true VIP with Playhouse Bottle Service and reserve your table today! FYI Bottle Specials & Deal packages are too insane to post public. To RSVP, and find out about Playhouse bottle service deals, for the event, contact Jamie Barren (310-749-9029).